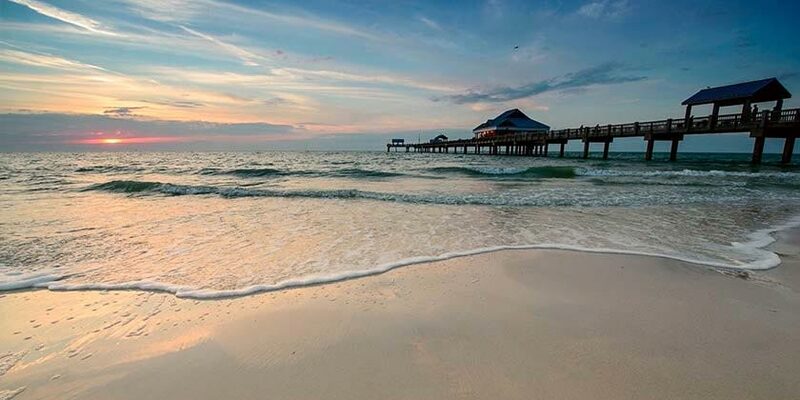 Hugging the Gulf of Mexico, Clearwater has beautiful weather all year-round. Its infamous white sand beaches and crystal clear waters are accented by perfect sunny days and warm temperatures. Build a giant sandcastle with your family. Swim, surf or lounge on the beach during your Clearwater vacation. Get adventurous and snorkel or sail. Whatever you do, indulge in pure beach bliss. Beyond your expectations, Busch Gardens® Tampa Bay offers a world of fun and discovery, sure to please each and every visitor! This exciting pass allows you to spend 14 consecutive days of unlimited admission at both Busch Gardens Tampa Bay and Adventure Island Water Park. Get lost in the pirate antics of treasure hunts, face painting, water gun games, stories and dancing for all. Resort info: Fronting the stunning waters of the Gulf of Mexico and 10 acres of private, white-sand beach, Sheraton Sand Key Resort offers an upscale oasis. Resort info: Located along a sparkling white-sand beach overlooking the Gulf of Mexico, this resort provides the perfect environment for business and leisure. Resort info: Catering to families, active travelers and couples looking to tie the knot, the sun-sational Holiday Inn Hotel & Suites Clearwater Beach offers an appealing oasis. Resort info: Escape to the beautiful Gulf Coast at the Clearwater Beach Marriott Resort Suites on Sand Key Florida's only all-suite Marriott hotel. Resort info: Along one of the United States' most alluring beaches, Sandpearl Resort provides the perfect blend of superior service and picturesque refinement. Resort info: An Intracoastal waterfront location is just steps away from white sandy beaches and the Gulf of Mexico. Resort info: The Doubletree Beach Resort Tampa Bay North Redington Beach provides a relaxed setting and a welcoming atmosphere appealing to families, beach-lovers and couples looking to tie the knot.